free-wheeling on Kveik (it rhymes with bike) – MostlyAboutBeer……..
It’s been a while since I reviewed a beer for a post. 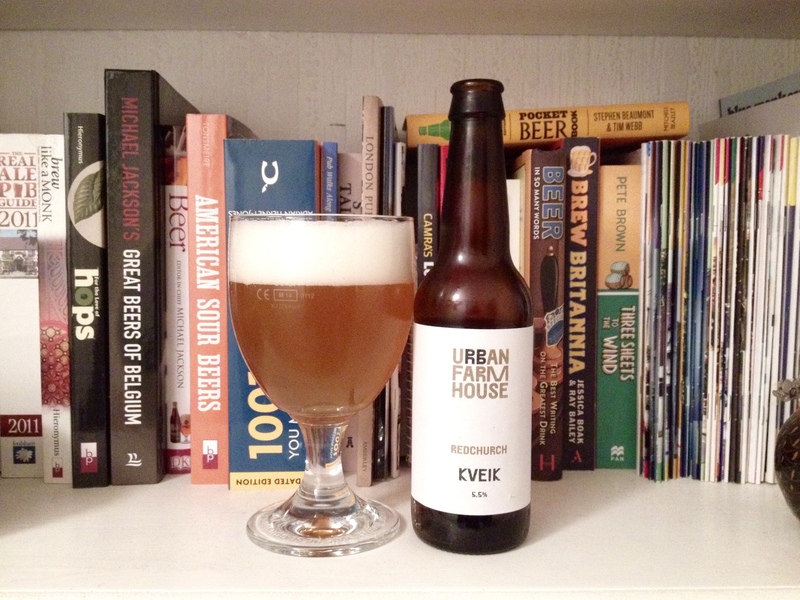 This bottle of 5.5% Kveik from Redchurch Brewery (or more specifically, its Urban Farm House brand), is the first of its nomenclature I’ve ever had. Within this introduction, I’m being careful not to use the word Kveik like it’s the style rather than the agent of fermentation, but the short-hand is inevitable. This is to do with loan words into adoptive languages. And to be fair, it’s what Redchurch has named the beer too. Kveik is actually a colloquial Norwegian word for yeast. This has been stressed to me by the author who has opened the world’s eyes to the guarded methods of rural brewing in the north of Indo-Europe: Lars Marius Garshol. It’s not often we attribute a beer (again – it’s specifically the yeast) to a writer, but in this instance we can. Lars – a Norwegian – has been wresting the lid off of traditional farmhouse beer making in Scandinavia, Russia and the Baltic states on his blog http://www.garshol.priv.no/blog/ for years. What’s most intriguing is the fact that these traditions are hidden in plain sight in relatively affluent lands (in Norway’s case, at least) within Europe – they haven’t just appeared over the past few years as a consequence of brewing enjoying a popular resurgence. And yet they’re little known – even in their own countries. Kveik is “slept” in yeast logs and wooden rings and re-animates when dipped into the wort. Some of these utensils – and therefore the Kveik itself – have been passed down for hundreds of years. It has yet to be analysed and placed into the yeast family tree. The culture (in both of its connotations) has been continuously used in isolation from greater Europe and by extension – America and Canada. Further research is needed – further funding, also. I first take in the aroma. I opened this bottle after it had a couple of days in the fridge. Traditionally though, a beer with Kveik should have roughly the same coolness as cask beer served from the cellar. The nose packs a sensory recollection for me: I used to go to a place called South Stack on Anglesey in Wales. 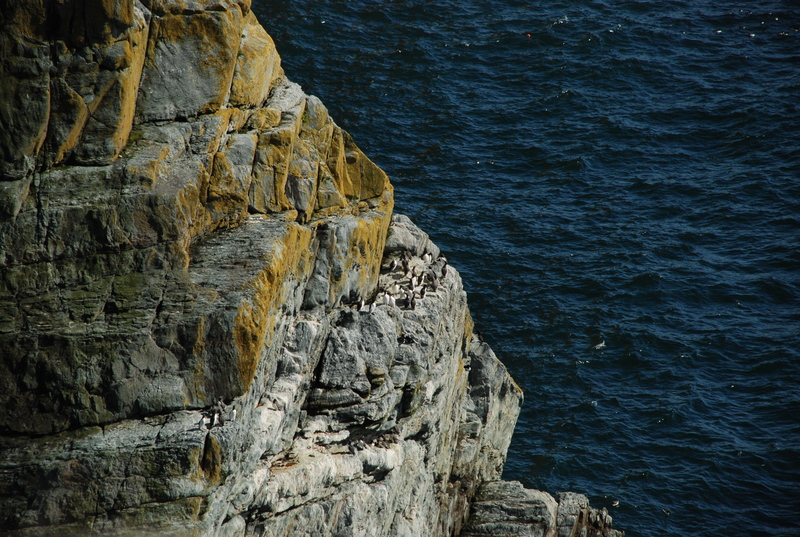 It has a lighthouse and RSPB reserve for watching puffins and razorbills. The reason I bring this up is because of smell and memory: wet gorse. The plant is ubiquitous along the high coastline and when it’s rain-lashed, it has a specific damp sweet unctum. That’s a long segue in, but it’s honestly what I get. There is also a note of lemon rind. Decanted into the glass, this evolves into white wine vinegar but less intense, though more astringent than white wine itself. On the eye, the beer is an opaque grimy amber. It has a bright white head like thick inter-tile grouting which destabilises to spiral galaxies on the surface. It’s much smoother on the swig than the bouquet would suggest. The first thing I get is malt with a touch of funkiness. The rich mouthfeel puts me in mind of an oatmeal stout. On the palate, I get carob, custard and chlorophyl. There’s also a cream cracker and salt dimension – any further and I’ll have visitations of Red Leicester. It’s well carbonated, though traditionally, it wouldn’t be. There’s no dryness. The liquid remains hazy – never quite dropping bright. It’s tangy and a bit like mouldering oranges and tonic water. Some of these notes might not make it seem refreshing but it is. The beer this reminds me of most is the cream ale by Ansbach and Hobday in Bermonsdey. This is in its texture as well as its subtle flavours – the hops certainly don’t dominate at any point. Cream ales are often brewed with both ale and Lager yeast (the latter for a period of cold fermentation) and the above mentioned also has corn in the grain bill. The two beers aren’t much related through genealogy, but that’s what my palate rings up. But then how reliable is a fond memory of the rain-soaked Welsh coastline? As Kveik – actually a number of different yeasts grouped together on a given cultivar – is able to withstand unusually high temperatures (up to 104 fahrenheit) and is top – fermenting, I can’t help wondering whether we might see it making inroads into our British cask lines. Potentially, Kveik could be used to ferment an interesting pale ale. I think we’d get something shimmering between a fruity bitter and a Saison. Well kveik is the yeast which is millions of micro-organisms ingesting malt sugar and excreting alcohol so if you mean it in the purest sense, no beer wine, bread or cheese can never be vegan. Some beers use isinglass (from the swim bladder of fishes) to let beer drop bright but increasingly, modern brewers don’t use it and opt for a hazier beer. Take from all that what you will…. It might be helpful to some people if your reviews had this info readily available? Well I don’t think Redchurch does. Hazy beer (beer without the isinglass) is becoming more and more popular. But it might be that it’s used for some of their beer but not others. Breweries like Moor Beer Co don’t use it at all. More info: Most of the isinglass in the UK is from fish, but a few (in particular in the USA) breweries use synthetic isinglass (!) which is vegan. Also need to look out for honey, which is used in some beers. 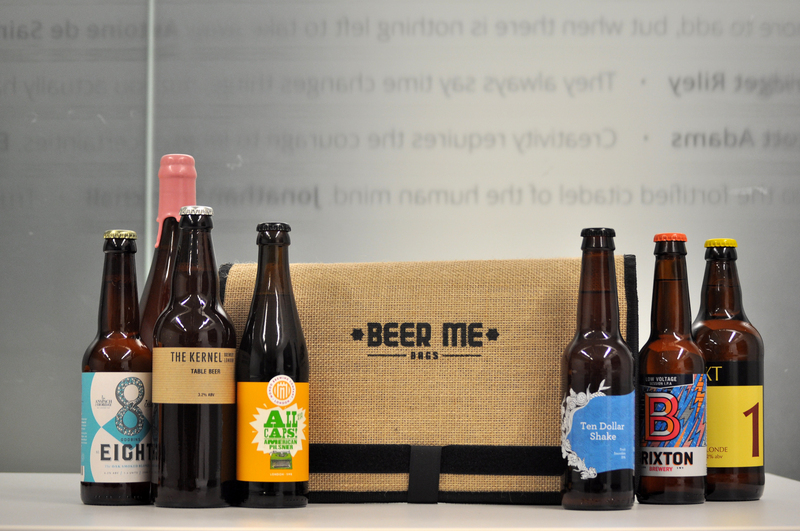 There can also be a difference between the same beer in a cask or bottle. I know about the synthetic isinglass. It was a big thing about this time last year. I didn’t know honey is regarded as vegan.